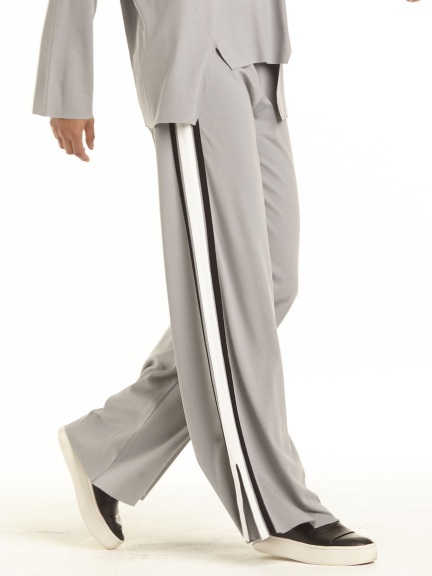 A pair of soft and delightfully comfortable track pants are ideal for stylish lounging. Pants features side stripes, a soft flare and an elasticized waistband. Made in the U.S.A.